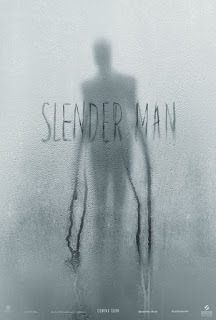 One could argue (and some have) that it’s in poor taste to make a movie like SLENDER MAN. The film is based on the internet “creepy pasta” (essentially urban legends for the internet crowd) about a mysterious faceless, tentacled figure in a suit and tie who lures children and teens to terrible fates including insanity and death. The reason being that this particular story influenced two 12-year-old girls to attempt murdering one of their friends here in the real world. Whether or not that’s a deal breaker is for you to decide. Obviously it wasn’t for me, because I watched the thing. The set up is basically the same as THE RING. 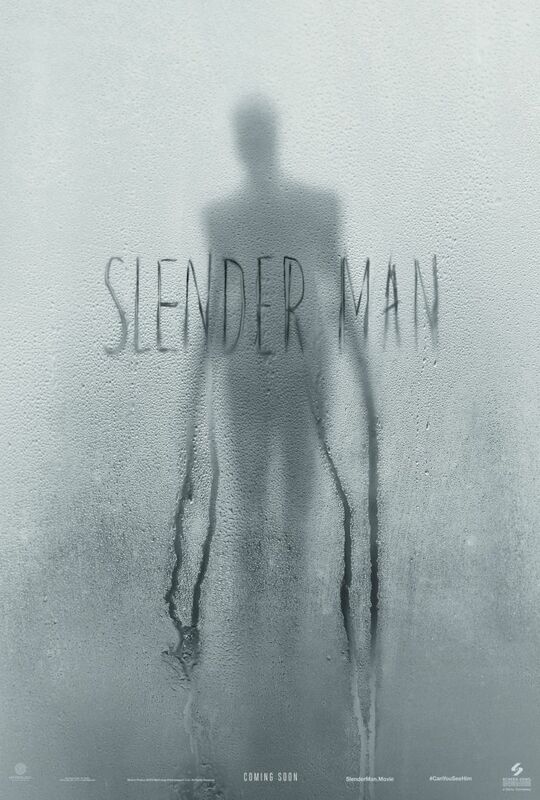 A group of teenage girls decide it would be a laugh to “summon” Slender Man. The way this is supposed to be done, or so the movie tells us, is by playing a video with your eyes closed until you hear a bell ring three times, and then opening them just in time to see a short creepy video play. Nothing happens at first, but then one by one, the girls start hearing and seeing things. Could Slender Man actually be real? Not much more to say, except of course the teens start to die one by one. There’s no point in telling any adults because, of course, they wouldn’t believe it. So the survivors try to learn what they can both online and in an actual, honest-to-goodness library with books and stuff. But the frightening truth is, there may not be any way to stop this creepy creature. I actually kind of like the Slender Man mythos. It’s a good, creepy campfire story, and some of the faked photos are convincingly scary. In theory, it could be turned into a decent horror film. In theory. SLENDER MAN isn’t awful; it’s just rote and mediocre. Just like a lot of the crap I have nostalgic love for from the eighties. Which boils down to: if you’ve already seen a fair number of horror movies and/or are over the age of 25, this probably won’t impress you much. There’s no real depth to the characters or themes, and the plot is cookie cutter. But it does have some effective scares, and I’m sure it works just fine for its intended audience.